Cycling, like pretty much every other outdoor adventure, requires that you have the right tool for the job. This also means that you must have the right tool for the size or weight. If you are big and you love to ride, you have probably been looking around morosely cursing bike manufacturers for thinking everyone is as featherweight as a jockey. 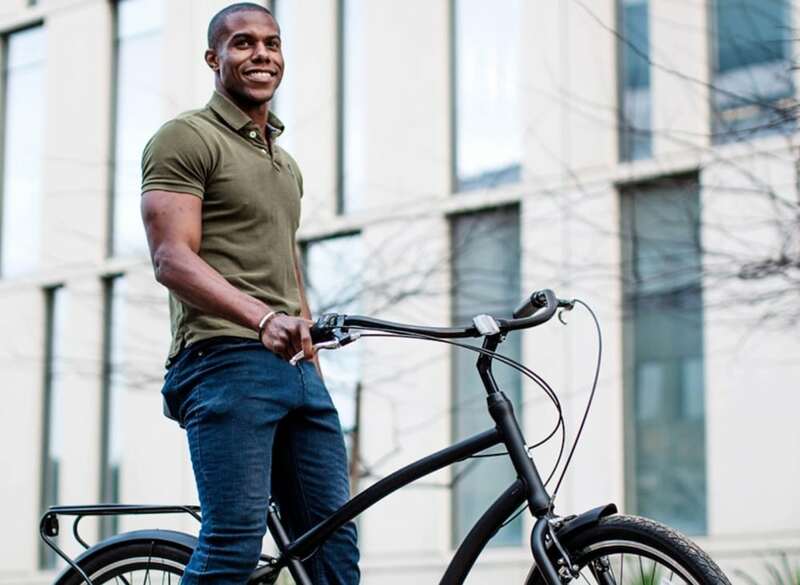 This short guide will help you get a bike for a big guy. Experts say that bigger guys need bikes that have high thread count in the tires. This helps to create some extra cushioning for the extra weight, something that the regular tires do not do. Make sure the tires and the rims are wide too because wide and big means more support for the extra weight. Bigger is better for big people because it will help carry the extra weight. You do not want to go for standard tires and wheels if you are a big male. Look for a bike that is weight-rated for the kind of weight that you have. Believe it or not, one-speed gears will not do for a bike made for a big guy. You may be cycling to lose some pounds, but all the same, that does not mean that you task your body to more pressure than it can bear. On the contrary, you want to make it easy for yourself to pedal up the hill. Thus, a six or seven-speed bike should be fine for you. You also need to make sure that the gears are set just right, that is, they are not too hard or too easy. Too easy gears may make you spin too much while too hard gears may make it hard to pedal up a hill. Big guys need big saddles. You will also need some more padding on the saddle. It should be extra wide. That always works very well for long rides. A narrow saddle is mostly a bother for all people unless you are lithe and you are riding a racing bike. A wide and well-padded saddle should be able to enhance your posture when riding. A narrow saddle would let your weight hang too much on one side, which could result in a hazard when you are riding. Just ensure that the saddle is well fastened so that you do not slip forward. Always go for metal frames. The lightest you should do is an aluminum frame bike, although such is expensive. A steel frame will support you much better, even better than an aluminum frame. It is wise to avoid carbon fiber frames because even though they are light, they crumple upon impact. Steel frames are a bit heavy, but they are strong enough for any weight that they have to carry. Bikes come weight-rated, something that most cycling enthusiasts forget to check. An overweight man should buy a bike that has a weight rating that is higher than his weight. Thus, if you weigh 300 pounds, get a bike rated for at least 350 pounds. A bike that is rated for a weight lesser than yours will break apart after a few days of riding it. If you are an overweight man, you can choose from the best bikes for overweight males. Bikes may appear the same to a casual onlooker, but they are so different. Bikes for men have wider handlebars because men have wider shoulders. As an overweight male, you will want a bike with wide handlebars because extra weight makes the arms stay further apart. You may also want raised handlebars so that you do not bend down too much when riding. If you are not looking for such big bikes, you can easily choose from one of the regular bikes for men. Many people enjoy biking on the beach. 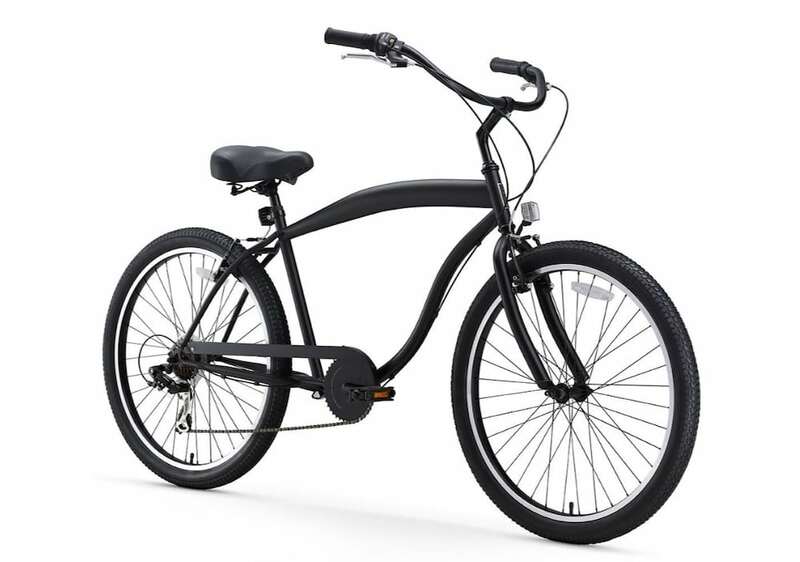 If you want to go biking on a beach, you can choose men’s cruiser bike for this purpose.